Eds: Edits fourth paragraph to clarify Memorial Day weekend prices expected to be $3.60 a gallon or a little bit higher. If you’re lucky enough to live in some parts of the United States, you may see gas pump prices fall to around $3.25 a gallon or less in the next week or two. Even West Coast drivers should get some relief from prices that are still above $4 a gallon. 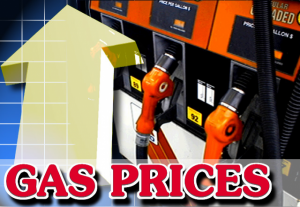 Retail gasoline prices dropped by a penny to a national average of $3.71 per gallon on Friday. That’s 22 cents less than the high of $3.94 per gallon reached in early April. Lower oil prices are the main reason. Weaker demand is also helping to push down prices, as consumers watch their spending in the sluggish economic recovery. Motorists on the West Coast, in Illinois and New York are paying the most for gas — from $3.83 per gallon to $4.54 per gallon — according to AAA, Wright Express and the Oil Price Information Service. The lowest prices, from $3.39 to $3.51 per gallon, were in the South and parts of the Midwest. Some drivers already pay 30 to 40 cents less than the national average. That’s because the gasoline they buy is refined from oil produced in the Gulf Coast region, where prices are among the lowest in the country, Kloza said. And state and local gas taxes there are lower than in other areas. For example, the average pump price on Friday was $3.34 per gallon in Greenville, S.C.; $3.39 in Little Rock, Ark., and $3.43 per gallon in Amarillo, Texas. Meanwhile drivers in the Pacific Northwest and California are paying $4.25 to $4.50 a gallon because of a shortage of gasoline supplies related to refineries. Kloza said that those issues should be under control and prices should begin to ease soon. By July drivers may face a different situation because of the simmering dispute between Western nations and Iran over its nuclear program. The European Union is set to begin a ban on oil imports from Iran if the situation isn’t resolved by then. Some analysts think that could drive oil prices higher. On Friday crude oil prices fell ahead of a weekend meeting in which President Barack Obama and leaders of the world’s biggest economies will search for ways to help Europe resolve its ongoing debt crisis. Benchmark U.S. crude fell $1.08 to finish at $91.48 per barrel in New York. Brent crude, used to price many international varieties of oil, fell 35 cents to end at $107.14 in London. Heating oil fell 1.9 cents to finish at $2.83 per gallon, gasoline futures rose 1.13 cents to end at $2.89 per gallon and natural gas increased 15 cents to finish at $2.74 per 1,000 cubic feet. The price of natural gas has been rising steadily from the 10-year low it hit a month ago. Friday’s increase of almost 6 percent had a lot to do with the weather. Long-range forecasts predict temperatures well above average for much of the country over the next few weeks. That means more demand for natural gas to run generators that produce electricity to power air conditioners and refrigeration units.